What better than an ice-cold milkshake in summer? Flavours and combinations are endless, though vanilla, fruit and chocolate remain favourites. Milkshakes are very simple to make and so good! Here’s a little demonstration with our varied and original recipe ideas that can be adapted using whatever takes your fancy. You will need a blender or mixer to get smooth milkshakes. Mix the milk and 2 scoops of ice cream in a blender to get a smooth and foamy mixture. Pour into a large glass, sprinkle with your decorations and consume immediately. - If you use a mixer, it may take more time to get a smooth consistency. However, take care not to mix for too long so as not to heat the mixture. Milkshake should be cold! - Put your glass in the fridge before filling it for added chill. - If you have neither a blender nor a mixer, use a shaker. Pour in all the ingredients and shake it vigorously for a prolonged time to mix it well. You can replace cow’s milk with other types of animal milk (e.g. goat’s milk) or vegetable based milk (oat milk, soy, or rice milk). You can also use concentrated milk (with or without sugar) to thicken the mixture. Sorbets are delicious in milkshakes, and you can also use ice cubes with water or milk ice cubes. Simply place some milk into an ice cube tray, put it in the freezer for 4 hours and mix the ice cubes with the rest of the ingredients. Whether they are milk or water, allow between 5 and 10 ice cubes per milkshake. Yoghurt will make your shakes even creamier. Double or liquid, add to your mixture and obtain a mixture that’s creamier and lighter. Fresh or syrup, classic (strawberry, banana) or exotic (mango, litchi, pomegranate), their quantity will vary in relation to the taste you want. 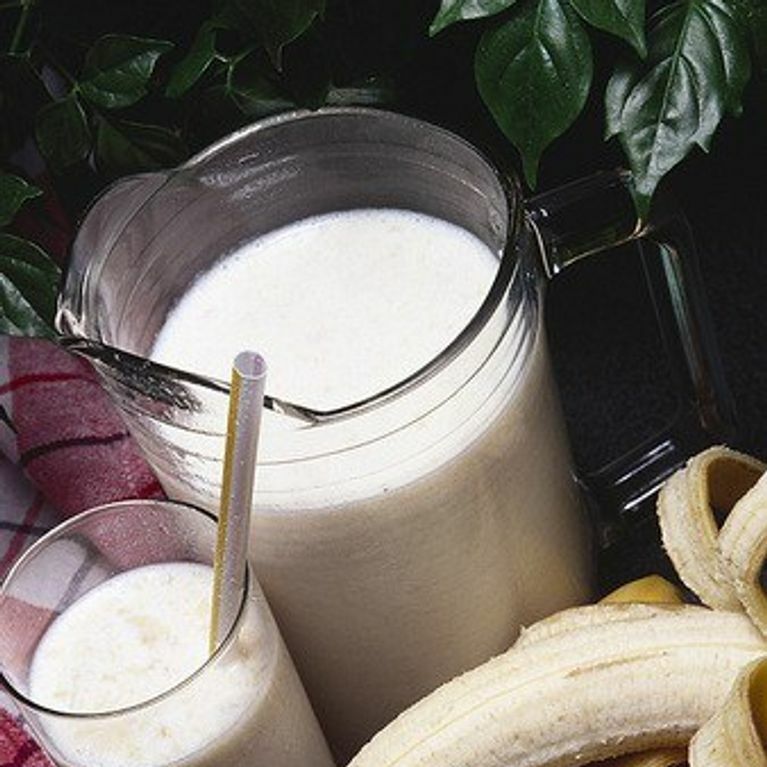 You could use several sorts of fruit in the same milkshake. Use chocolate ice cream to make things easier. If you prefer to use a bar of chocolate, melt it first with liquid cream to get a smooth ganache. Let it cool down before combining it with other ingredients in the milkshake. Add a drop according to flavour: cider with apple, rum with exotic fruit, whisky with coffee etc. Take care with the quantities! 30ml per person for strong drinks and 100ml for drinks like cider. Tomatoes, avocado, carrots - why not?! You can also mix in fresh cheese (goat’s or sheep's cheese). Use ice cubes, and a bit of creme fraiche or natural yoghurt to thicken your milkshake. Lemon juice and fresh herbs also bring out flavours. Rose water and orange blossom water for sweet or thyme and rosemary for savoury shakes. Cinnamon, nutmeg and cumin among others, so choose and add according to the flavour of your milkshake. As always with spices, be careful not to go overboard! The above shows that anything is possible in a milkshake, so improvise and experiment! Don't forget the garnish (chocolate shavings, chopped dried fruit, honey, fresh mint, whipped cream) and little cocktail umbrellas or straws for a festive finish!